Peshawar: The Pakistani doctor sentenced to 33 years for treason after being recruited by the Central Intelligence Agency (CIA) to help find Osama bin Laden is in poor health, a jail official told Agence France Presse (AFP) on Thursday. "His health condition is bad, a team of doctors will examine him in jail today," Samad Khan told AFP from the central prison in the northwestern city of Peshawar, where officials have said Shakeel Afridi is being held. "He has been kept away from other prisoners to avert any danger to his life," Mr Khan said, without elaborating further on his condition. On Wednesday, officials announced that the surgeon had been convicted and jailed for 33 years under the archaic tribal justice system that has governed Pakistan's semi-autonomous tribal belt since British colonial rule. A court operating under the Frontier Crimes Regulations (FCR), which date back to the 19th century, found him guilty of waging war against the state. Afridi comes from Khyber, one of the seven districts that make up the tribal belt. 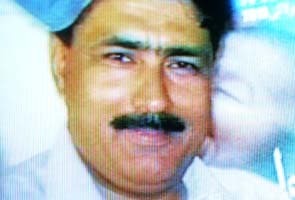 But critics said he should not have been tried under tribal law for an alleged crime that took place outside tribal jurisdiction, in the town of Abbottabad where he ran a fake vaccination programme designed to collect bin Laden family DNA. A senior official in Khyber, Nasir Khan, defended Afridi's trial. "We have powers to try a resident of FATA (the federally administered tribal areas) under the FCR enforced in tribal areas," he told AFP.